If you ask the average person to define giant cell myocarditis, there’s a good chance they’ll be unable to. The same goes for a majority of physicians. While the more common viral myocarditis is considered a rare disease, giant cell myocarditis is even less common, affecting only a small fraction of individuals each year. And while this condition may be uncommon, it can have serious consequences. That’s why the Myocarditis Foundation has raised awareness about this disease and searched for a cure for nearly twenty years. Here, we’ll provide a straightforward overview to help patients, their loved ones and their physicians understand giant cell myocarditis. What is Giant Cell Myocarditis? Giant cell myocarditis in an explant heart from patient. Cardiac inflammation stains purple. The first case of giant cell myocarditis was described by medical professionals in 1905. However, our understanding of the disease is still developing. From 1905 until 1987, all cases of Giant Cell Myocarditis were described at autopsy, with survival usually less than 3 months from the initial onset of symptoms. In general, giant cell myocarditis is a rapidly fatal disorder that may respond to certain immunosuppressive drugs or heart transplantation. We now know that with early diagnosis by heart biopsy and prompt immunosuppressive treatment, ninety percent of Giant Cell Myocarditis patients survive at least one year. Due to ongoing research and diligent efforts by the Myocarditis Foundation and myocarditis researchers around the world, the medical community now has more information than ever before about giant cell myocarditis. While it can occur in individuals with autoimmune conditions, there is still much work to be done to understand this very rare and deadly disease. What Causes Giant Cell Myocarditis? The cause of giant cell myocarditis is not known, but observations in human tissue and experimental data from a Lewis Rat model suggest that the disease is mediated by T lymphocytes. 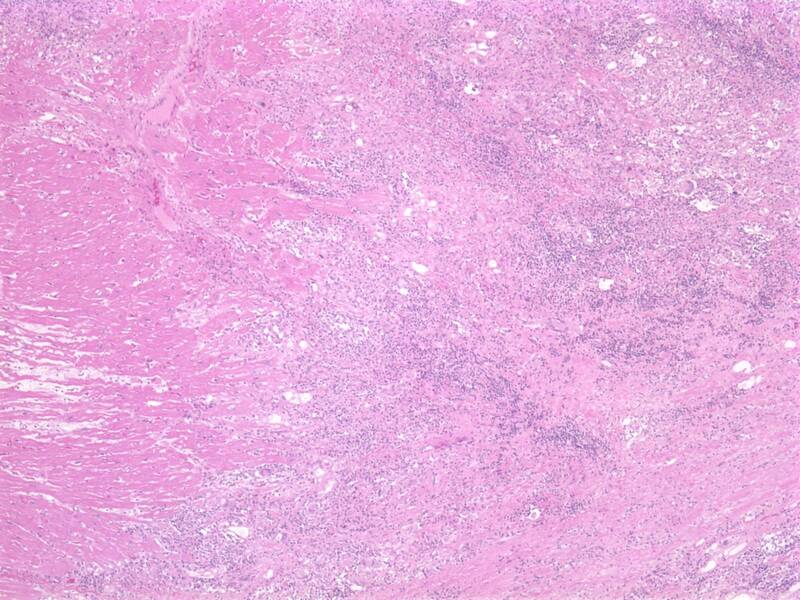 If the Cause of Giant Cell Myocarditis is Unknown, How Can it be Induced in Rats? Experimental giant cell myocarditis can be produced in the Lewis rat by auto immunization with myosin. Is Giant Cell Myocarditis New? No. Giant cell myocarditis was first described in 1905. Why Has No One Heard of Giant Cell Myocarditis? Giant cell myocarditis is a very rare disease. Therefore many physicians are not familiar with giant cell myocarditis. 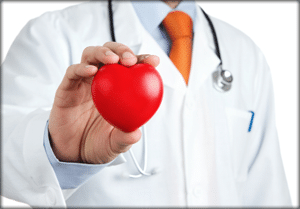 How is Giant Cell Myocarditis Diagnosed and Treated? Giant cell myocarditis can only be confirmed and diagnosed through a heart biopsy. During this procedure, a catheter is inserted into one of the larger blood vessels in the neck or groin. An instrument called a bioptome is then placed inside the catheter and used to remove a small piece of tissue. This is a dangerous procedure especially in someone who already would be so very compensated cardiac-wise. It is essential that your results are reviewed by an experienced cardiac pathologist to confirm the diagnosis. Once diagnosed, your physician will prescribe immunosuppressive drugs and corticosteroids. These medications help reduce inflammation and help to prevent complications, including heart failure and arrhythmias. While many patients may eventually require a transplant, medications can delay the need for the procedure for months or even years. 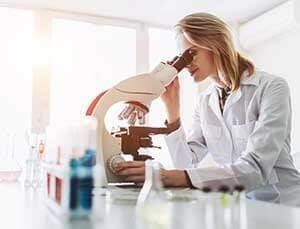 Can the Biopsy Results be Confused with a Different Disorder? 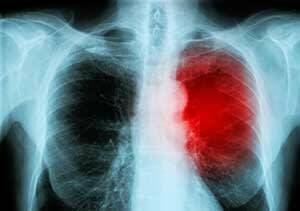 Giant cell myocarditis can be confused with cardiac sarcoidosis. Therefore all suspected cases should be reviewed by an experienced cardiac pathologist. How is a Endomyocardial Biopsy Performed? A thin tube called a catheter is inserted into a vein or artery, usually in the groin or neck. The catheter is guided using x-ray or echocardiogram (sonogram for the heart) and placed inside of the heart. Then an instrument called a bioptome is inserted into the catheter and used to remove a small section of the heart from the inside. What are Some of the Treatments for Giant Cell Myocarditis? One treatment is to give the patient a variety of immunosupressive drugs combined with steroids. Another option is a heart transplant. The goal of immunosupression therapy is to delay heart transplantion. The need for a transplant my be delayed by months or even years. Since each case is unique there is not a typical time. What is the Expected Life Span of a Giant Cell Myocarditis Transplant Patient? Post-transplantation survival is approximately 71% at five years despite a 25% rate of giant cell infiltration in the donor heart. To confirm these findings, a randomized trial of immunosuppression including muromonab-CD3, cyclosporine, and steroids is underway. Fast treatment can yield positive results and reduces the rate of death or need for heart transplantation. In many cases, a transplant will eradicate the presence of giant cell myocarditis. However, a percentage of those who receive a transplant will experience growth of giant cells in their new heart. Additional research is being completed to determine the risk of giant cell growth in the hearts of transplant recipients. While more study is required, scientists believe that the growth of these cells may be less severe due to the immunosuppressants patients take to help their bodies accept donor hearts. And because regular biopsies are performed to guard against transplant rejection, constant monitoring helps identify excessive cell growth as it occurs. Why is Giant Cell Myocarditis in a Transplant Patient Not as Severe? The exact reason is not known. But the disease may be less aggressive because the patients are on immunosuppressive drugs to prevent rejection of the donor heart. What Type of Treatment for Giant Cell Myocarditis is Used in a Transplant Patient? The treatment depends to some degree on the presentation, but may consist of steroids for 2-3 months. How is Giant Cell Myocarditis Detected in a Transplant Patient? The diagnosis is made by heart biopsy, which is routinely performed in the post-transplant patient to look for rejection of the donor heart. If Giant Cell Myocarditis Occurs in a Transplant Patient, How Long Does it Typically Take to Appear? The range of time to recurrence is wide, from 3 weeks to 9 years after transplant, with an average time of about one year. Today’s patients and healthcare providers have more information than ever about giant cell myocarditis. Still, there are many discoveries yet to be made, and the Myocarditis Foundation is dedicated to supporting researchers and physicians in the search for a cure. If you or a loved one has been diagnosed with giant cell myocarditis, our extensive research library and frequently asked questions can help provide some of the answers you seek. To learn more, contact us today or make a donation to contribute to our mission. Learn more about myocarditis or browse myocarditis FAQs, myocarditis research articles and myocarditis research photos.